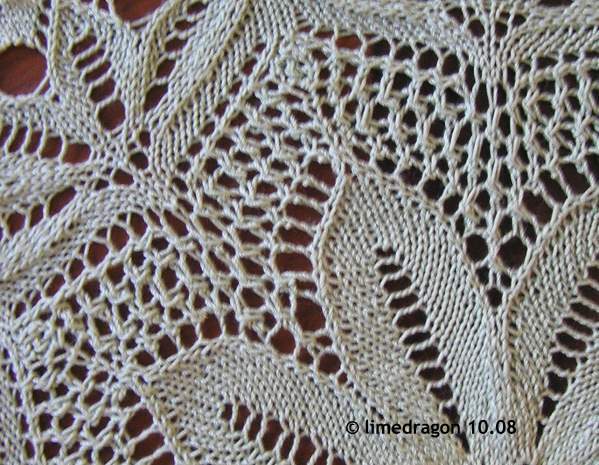 limedragon :) » Blog Archive » Doily! What attracted me to this design was the embossed effect the petals seemed to have. I tried capturing it through photography but wasn’t quite successful. You may be able to see the embossing in the photo below. 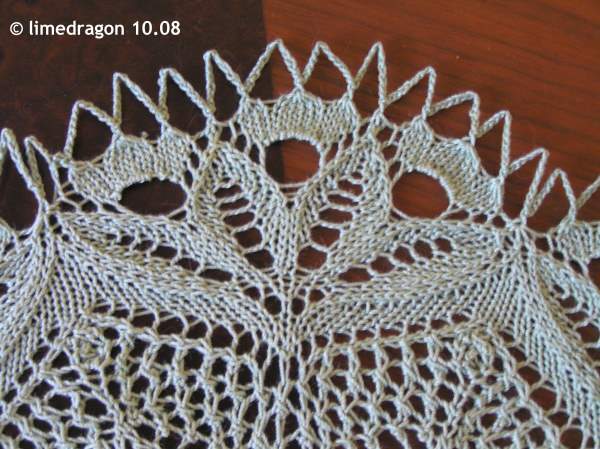 This was so much fun to knit, even if I had a mishap with a dropped double-decrease that required me to tink over 800 stitches to be able to properly fix it. My favorite part? The frondy scallops along the edge. 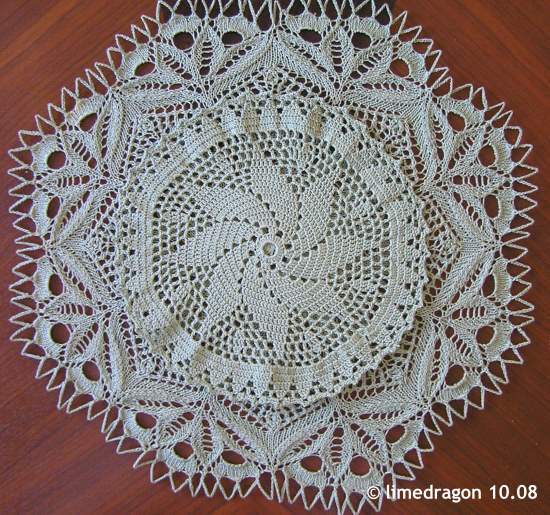 This doily is pretty big. 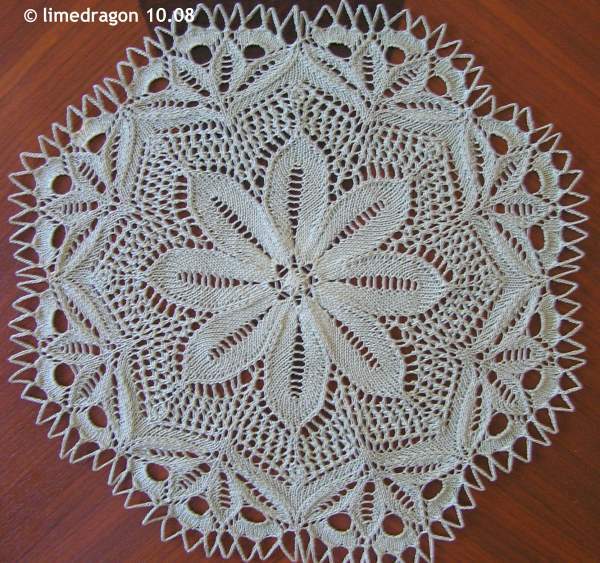 I didn’t bother checking gauge; mine turned out to be 16″ in diameter compared tot he 13″ given in the pattern. So this would be a lovely centerpiece. Both Antlia and Shasta are in the photo below for comparison. You knit that in four days? Yikes. It would have taken me that long just to tink the 800 stitches. I like knit one better. Looks more organic and more delicate. gasp You tinked over 800 stitches?! Yowza. Good thing the result is so lovely. So beautiful! I like the knitted one better, too. Yikes, tink 800 stitches?!?!?! 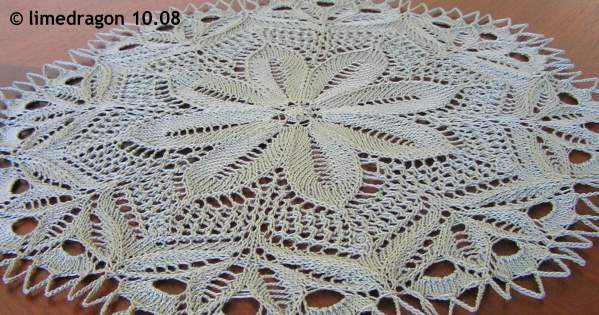 But the knit doily is lovely. Hope your dad is doing better and comes home from the hospital soon.